Interested in preserving your municipality's historic downtown, buildings, or places? Consider forming a Certified Local Government (CLG)—designating your municipality as a nationally recognized preservation organization. 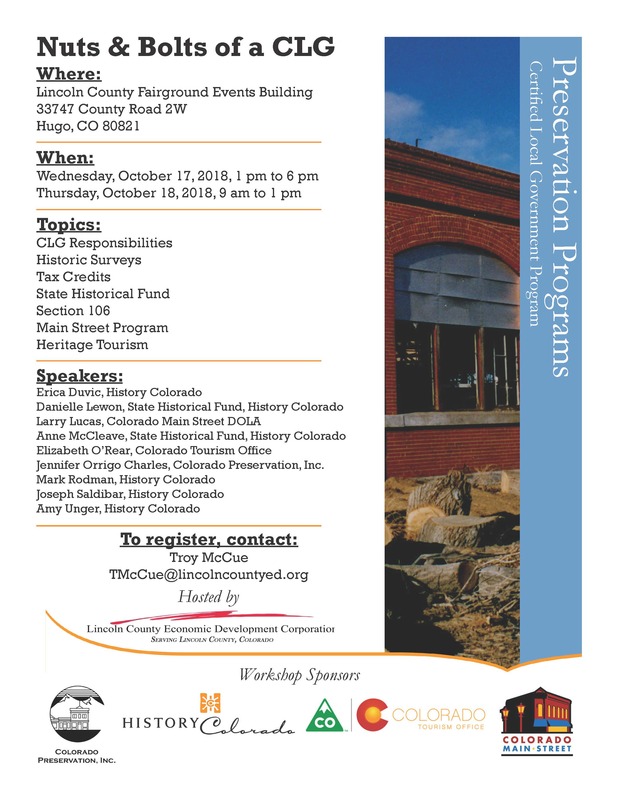 Learn how to form and maintain a CLG, how to conduct historic surveys, leverage state and federal preservation tax credits, earn History Colorado State Historical Fund grants, understand the Section 106 review process, join the Main Street program, and learn how to capitalize on heritage tourism in your community. To register, contact Troy McCue at TMcCue@lincolncountyed.org.